3Sixty and Avianca Holdings (AVH) have signed an agreement to convert the current inflight concessions with AVH’s controlled airlines into a Joint Business Agreement (JBA) under which the parties will develop an innovative On Line Market Platform that will allow more than 30 million passengers to pre-order duty free and duty paid goods and services with on board and ground-based deliveries. The JBA will start with Avianca (Colombia), Aerogal (Ecuador), TACA (Peru), and LACSA (Costa Rica) with the intention to expand it to other AVH’s partner airlines in the Americas Region. Through this network, the JBA will service up to 6,000 weekly flights serving more than 100 destinations in 27 countries. The technological platform will be developed in conjunction with 3Sixty strategic partner, AOE, the world’s leading non-aviation digitalization company. The platform will showcase 3Sixty’s industry-leading luxury brand portfolio, and provide passengers with an unparalleled range of shopping and delivery options. 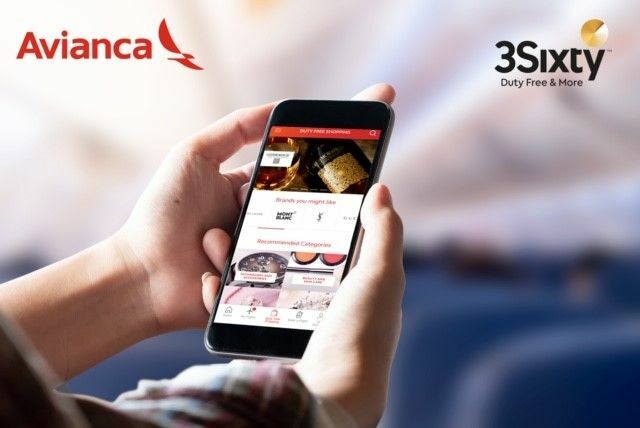 “Consistent with our vision, we are continuing to innovate the Travel Retail Industry and to put consumer experience at the heart of our strategy” said 3Sixty Executive Vice Chairman Roberto Graziani, who added “We are very excited to develop this initiative with the Avianca Holdings airlines in the Americas and to offer more than 30 million passengers on the continent a state-of-the-art technology and the convenience of having our duty free and duty paid goods delivered at home or on board of our airline partners”. Avianca Holdings S.A. (NYSE: AVH) (BVC: PFAVH) is integrated by the following airlines: Aerovías del Continente Americano S.A. Avianca (Avianca). Tampa Cargo S.A incorporated in Colombia, Avianca Ecuador incorporated in Ecuador, and the companies of the TACA Group: TACA International Airlines S.A. incorporated in El Salvador, Avianca Costa Rica incorporated in Costa Rica, Transmerican Airlines S.A. incorporated in Perú, Servicios Aéreos Nacionales S.A. SANSA incorporated in Costa Rica, Aerotaxis La Costeña S.A. incorporated in Nicaragua, Isleña de Inversiones C.A. de C.V. ISLEÑA incorporated in Honduras and Aviateca S.A. incorporated in Guatemala.